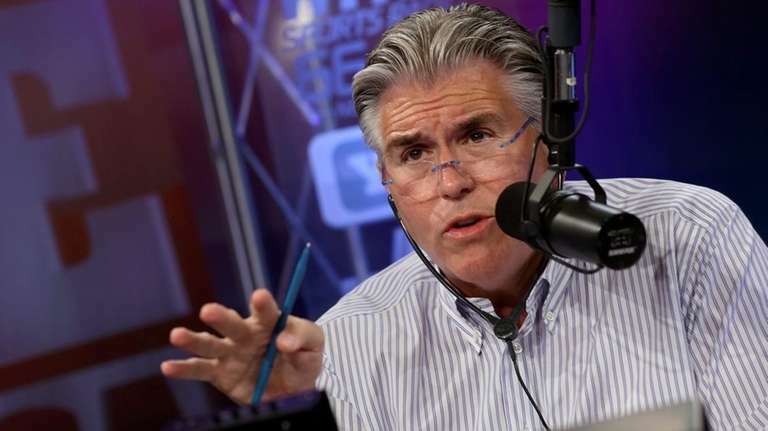 Mike Francesa doesn’t talk about the Islanders much, but with the team set to host Game 3 of the Eastern Conference semifinals against the Lightning on Tuesday night, he laid into the organization and former goaltender Rick DiPietro during his show. “They don’t know how to market, their PR people are lost, they don’t know how to market, and the rink is run by a bunch of clowns,” Francesa said after asking his producer what the atmosphere at Barclays Center would be like for Game 3. “So other than that I think otherwise they’re OK. So really, the hockey team is no problem, the rest of the structure, that’s why they have tickets for sale. Because you got a hot property there, you got a great player there, and you can’t get the building sold out because they don’t know how to market the team, they don’t know how to promote the team, and the people running the building are lost. It’s actually the Islanders’ first playoff game at home this series — they went 2-1 at Barclays against the Florida Panthers in the opening round, including the Game 6 clincher. Barclays Center CEO Brett Yormark didn’t take Francesa’s comments lightly. But it didn’t stop there. After returning from a commercial break, Francesa continued to ridicule the team for still having tickets — some of which he was giving away — available for Game 3. “The Islanders have tickets for sale behind their bench tonight. What a disgrace in New York City for a playoff game. I mean, give me a break. Now we’re giving them away — these are for tonight . . . Way to create demand. “I gather [DiPietro] said some disparaging things about me after I attacked the Islanders,” Francesa said. “I didn’t say anything about him. Obviously I wouldn’t pay much attention to him. But now that he’s in my business and actually is, and I use this in quotes, competition, giggle [note: he actually said giggle], but here’s a guy shooting his mouth off at a show that beats him. DiPietro, an analyst for MSG, said before Game 3 that he had not yet heard the entirety of what Francesa said directly and so declined to comment on his remarks. But earlier on the “Hahn & Humpty Show,” DiPietro stepped in to defend his former team from Francesa, who he never referred to by name but as “Sports Precious” and “Radio Precious,” after learning about the WFAN host’s comments.